As many of you who read my blog know. I just turned 50 years old on January 20th. Looking back I would never have guessed that I would live to see this grand age. Growing up 50 was old. I was reminded of that the other day when I heard a child call his father old when he said he was 51. Lol. Shortly after that I started thinking about my own life. I started to beat myself up in my head for all the wasted years and the things I didn’t accomplish. I began to slip into a slight depressed state and wondered if I might be kidding myself thinking that I can start to live a life worth living at 50. I spoke to a few of the men in my life and they helped me to realize that first off 50 is not old. That I am not washed-up and ready to be put out to pasture. Yes I can start to live a life worth living at 50. It’s never too late to start over. I am grateful for the people in my life. When I begin to doubt myself I am grateful that I have people just like me who can relate, offer suggestions and bring me back to reality. The reality is I am not old. I have a lot of good years left and I am in a position to make something great happen. It’s never to late unless I decided to give up and stay stuck in the why me pity party. I do not. I will not. I am healthy, happy, free from active addiction, have faith in a power greater than myself today. I have a girlfriend, family and friends that love me. I am truly blessed. I have no reason to feel regret over the past. It’s over and done with. I have learned some valuable lessons and survived a hell that most people would have folded like a wet cardboard box. I am blessed to be able to share my experiences with others without fear in the hopes that my story can touch someone and they too realize that they can change their life too. I am embarking on a new journey. A life that for a long time I was only able to dream about. I am experiencing life for the first time without any mind altering substances, without depending on someone else to take care of me, without having to live in a cold and dark apartment because I didn’t pay my bills. I am becoming a responsible and productive member of society. Do I have fear about this journey. Do I have doubts about my abilities. The difference is that today I feel deep down inside that I am ready. I am ready and willing to start this new chapter. To take a risk and not allow my fears to dictate the direction of my life anymore. I heard it said that a goal without action is just a dream. This entry was posted in 2016 and tagged addiction, awakening, gratitude, recovery. Bookmark the permalink. Eric, happy belated birthday. 50 is young. I have almost 15 years on you, and can say based on experience that age does not reflect the heart. Gravity works on our bodies, but if one is not superficial, they spend less time worrying about that and more time in their interests and enjoying the company of family and loved ones. Thank you Xena for the birthday wishes and the words of wisdom. I truly appreciate it. Thank you I appreciate your kind words and encouragement. Thanks for the birthday wishes also. Have a fantastic day. Next, you can’t rewrite the past, all you can do is learn from, try not to repeat the mistakes from it and keep it moving and you have done a wonderful job with that. Not only have you learned from it, but you are sharing that knowledge with others so that they won’t have to go through what you went through. The fact that you are brave enough to share your journey with others is to be commended and is very inspirational. 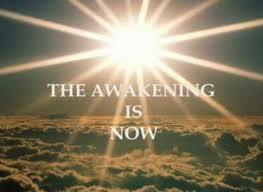 Continue the great work; you have awakened and you are a force to be reckoned with! Thank you Nadine. I needed that. Thanks for all your support and encouragement. Happy belated birthday. It really never is too late to start over. Have an amazing year. Thank you Deb. You do the same. happy belated earth day my brother. 50 looks good on you! i had similar concerns about my emotional, physical and spiritual well-being when i turned 50 in 2010. admitting my fears, doubts and insecurities was unpleasant. i don’t like being vulnerable. but my faith, family and friends helped me survive my emotions and seek abundant living. “your crown has been bought and paid for. all you must do, is put it in on your head.” – james baldwin. Thank you for sharing your identification. I’m grateful that I can share and you and others can relate. I am ready to Don my crown and experience abundance in all areas of my life.